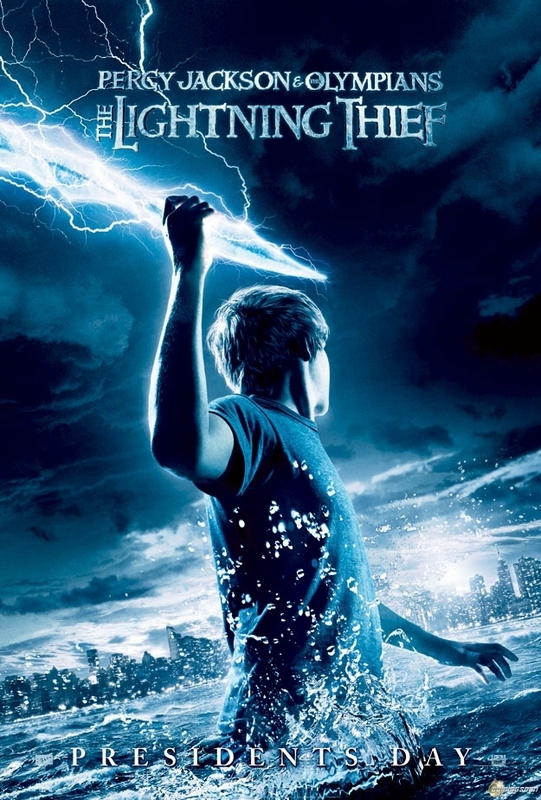 New Percy Jackson Movie Poster.. Its pretty EPICC.. HD Wallpaper and background images in the Percy Jackson & The Olympians Books club tagged: percy jackson lightning thief movie. Yes, Percy. Sometimes being able to talk to isda gets annoying. It seems to be kind of modeled after the book cover. thats cuz they just changed it because of the movie. OMG I WAS FREAKIN OUT AT THE MOVIE THEATER! i saw the trailer and was all "OMGOMGOMGOMG!!!!!! I HHAAVVEE TO SEE THAT!!!!!!!!" then a mean lady shhed me.....jerk. i was like that same thing when i heard about it. i thought i was about to faint. and that lady shounldnt have shhed u. u have the to do that. 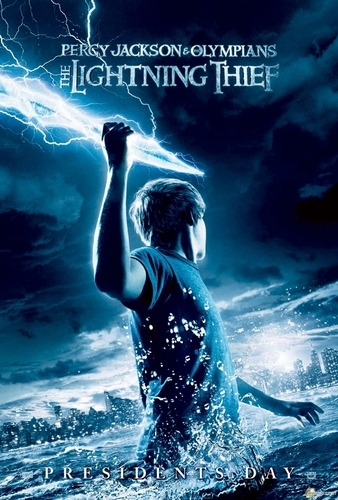 link i liked the movie, but it def didn't compare to the book at all. I WAS SO MAD ABOUT THE WAY THEY MADE THE CAMP. NO ORANGE TEES, NO CABINS IN A U-SHAPE, (yes, cabins, not little huts made by the Gods) AND NO BIG HOUSE, NO VOLLEYBALL COURTS, NO TREE NYMPHS, NO NAIADS. I absolutely HATED the camp in the movie. :( plus, they put NOTHING of Ares OR Kronos in there! Seriously! ?